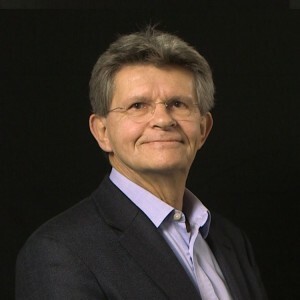 Michael Fritsch is currently Full Professor of Economics and Chair of Business Dynamics, Innovation, and Economic Change at the Friedrich-Schiller-University Jena. He is also Research Professor at the German Institute for Economic Research (DIW Berlin), the Halle Institute for Economic Research (IWH) and at the Max Planck Institute for Economics, Jena. Michael Fritsch has received his degrees in economics (Diplom Volkswirt, Ph.D., Habilitation) from the Technical University of Berlin. From 1992-2006, he was a Professor of Economics and Chair of Economic Policy, at the Technical University Bergakademie Freiberg. The main objective of Prof. Fritsch’s recent research is a better understanding of the effects that market dynamics and innovation processes have on economic welfare and to discover how policy can be designed to stimulate growth. The current research in the field of entrepreneurship is focused on the development of self-employment over time, entrepreneurial careers, and the effects of new businesses on economic development, with a special focus on innovative start-ups. Since a number of the regional influences on entrepreneurship and on innovation activities tend to be rather persistent, he is investigating the determinants and the effects of such long-term influences, which could be viewed as regional ‘cultures.’ Prof. Fritsch has rich experience in empirical research in this field and participated in a number of international projects. Prof. Fritsch is author of numerous books and more than 200 articles in scholarly journals and edited volumes. He is also the editor of a number of books and Special Issues. He is Associate Editor of Small Business Economics – An Entrepreneurship Journal and is Member of the Editorial Board of several scholarly journals.